A native of Ottawa, Jonathan Wade received a Bachelor of Music in percussion from the University of Ottawa where he studied with Ian Bernard and Pierre Béluse. He went on to obtain a Superior Studies diploma in orchestral repertoire for timpani from the University of Montréal under Louis Charbonneau. Since 1982, Jonathan Wade has performed as a percussionist and timpanist with the National Arts Centre Orchestra. In 1983 he was appointed principal timpanist of the Ottawa Symphony Orchestra. Mr. Wade is heard frequently with other fine ensembles including Capital Brass Works, Thirteen Strings and the Ottawa Choral Society. He performs regularly in Music and Beyond and in the Ottawa International Chamber Music Festival. 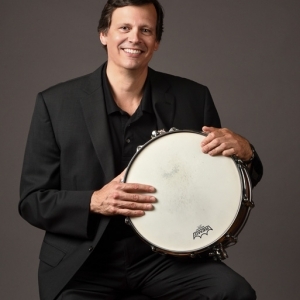 In 2002, Jonathan Wade became professor of timpani at the University of Ottawa and was appointed head of percussion in 2006. He was the percussion instructor at the Ottawa Youth Orchestra Academy from 1986 to 2009. Jonathan is very active in the NAC’s Music in the Schools program with the Bangers and Smash percussion duo and as a drummer in the Ragtime Brass sextet.